For 88 years, the Academy Awards have doled out awards to various people for their achievements in film. Yet out of those 88 years, only 66 black people have been nominated for acting awards with only 14 taking home the Oscar. It’s a pretty damning statistic, and it’s part of the systemic issues that have come to the forefront of the #OscarsSoWhite campaign that has finally forced the Academy to institute changes to how its membership is maintained and films are nominated. 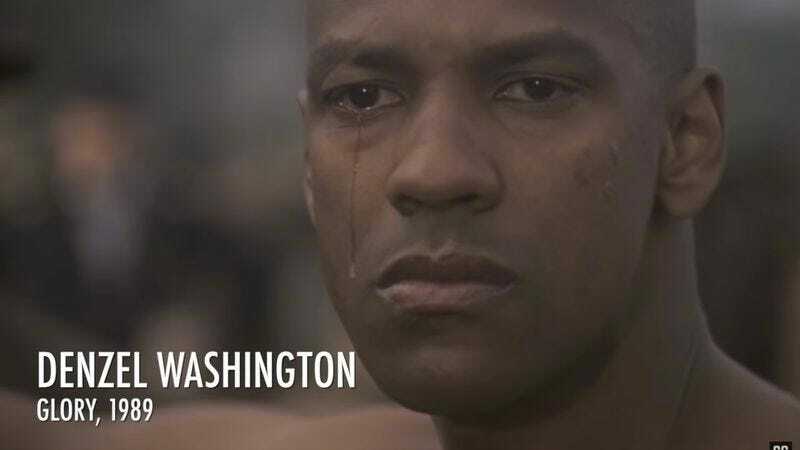 To really drive home the point of the paucity of Oscars that black actors have received, Screencrush has created this supercut of every black actor who has won an Oscar. Remember, there have been 88 annual Academy Awards with usually at least four nominees in each category for acting. Out of 352 chances for nominations, only these 14 actors have actually taken home the gold. It’s nice to revisit this list of winners, but disheartening that almost all of them have to point out that it’s a breakthrough moment for diversity in Oscars history.